Excuse My... Party!? 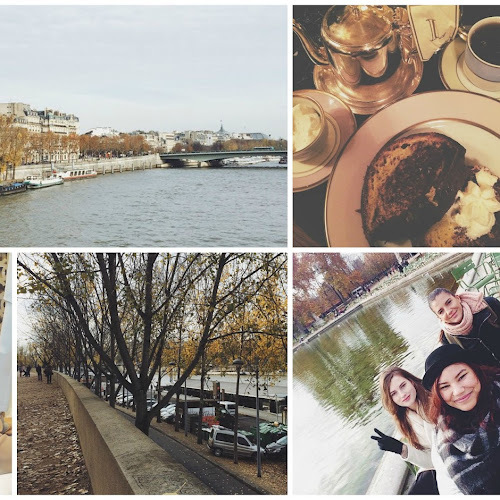 Introducing the "Airbnb de la Fête"
A few months ago I came across an Instagram account titled "Excuse MyParty". The name immediately grabbed my attention - as some of you may know, I study Français in a language school called "Excuse My French". Turned out the account belongs to a French start-up which brings together people who are willing to host and attend private house parties. 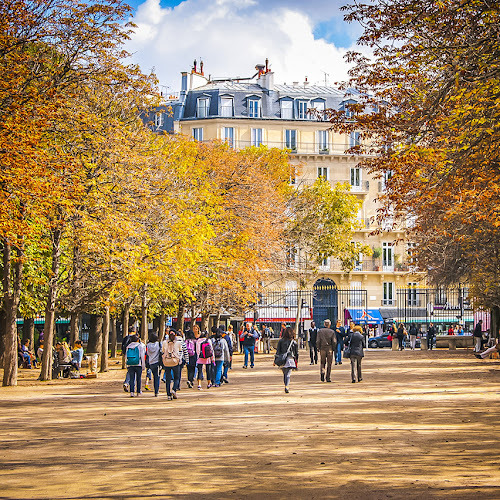 Featured in such publications as Grazia, Madame Figaro and Metro, the "Airbnb de la Fête" is definitely something to keep an eye on - and I'm personally looking forward to attending one of the ambiançages during my trip to Paris this summer. This week Excuse MyParty founders have kindly agreed to respond to a few questions - keep reading to find out how to participate in one of the parties, what does the future hold for EMP and what are the secrets of a successful event. Could you please tell us a little about when was Excuse MyParty launched and by who? How did you come up with the concept? The concept itself is quite simple: everybody can host or participate in a collaborative house party and meet cool people through the website. At the beginning - in 2013 - it was just about Bruno Haddad and Philippe Vitry, two friends and roommates, that were used to organize house parties in their apartment in Paris where friends, friends' friends and strangers met. For us, these private parties (more cozy and friendly than traditional festive offers of Paris,)symbolize what we call in French slang the "ambiançage" - a great party made with good stuff and cool people. After having experienced expensive Parisian bars and clubs without having found any "ambiançage", in 2014, we spontaneously created the idea of a collaborative festive revolution. 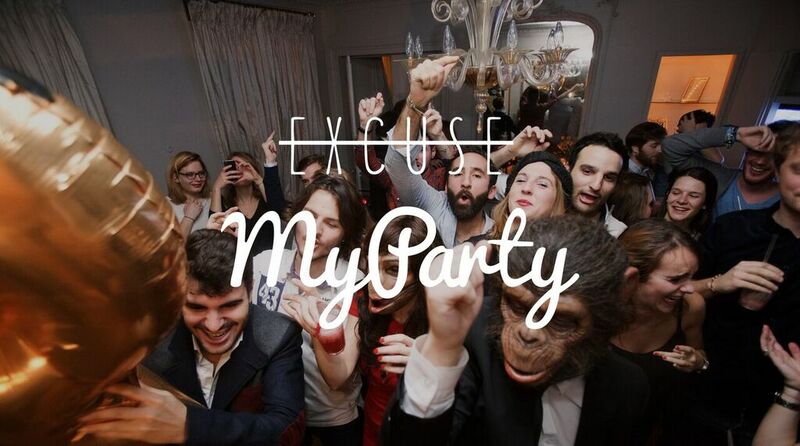 This project took form of the "Airbnb of house parties" and was called "Excuse MyParty". We were quickly joined by John Tossou (now Business Developer UK), Romain Dufflot (CTO) and Laurent Imbeaux (Artistic Director). A company was created in early 2015 and the team ended up developing the beta version of the website. 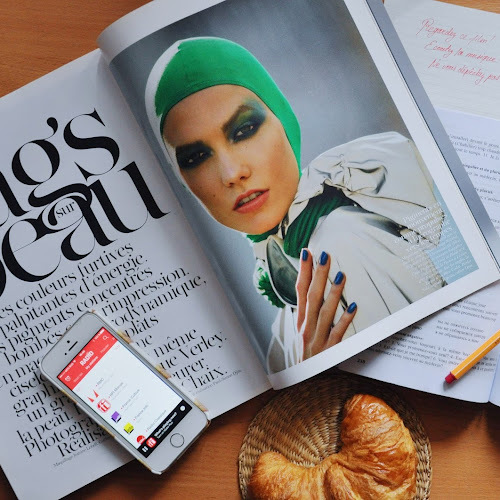 In May 2015, Excuse MyParty was launched in an arty loft in the heart of Paris, with over 100 guests attending to share a true moment of happiness. Inside the apartment, the bed was turned into a photocall, the DJ set came from the sofa, cocktails and pizzas were all homemade, everyone could take a beer directly from the fridge in the kitchen and the bathroom was transformed into a champagne bar. Quite a program, right? One year after the launch, hundreds of house parties have spontaneously been organized by our blossoming community via Excuse MyParty. How does it all work? How does one participate in a party - or even becomes a host? Are there any specific rules? Excuse MyParty connects hosts and guests in an easy way, by allowing the community to create or participate in private parties thanks to an integrated house party marketplace. Our system is based on trust - however, Excuse MyParty provides full descriptions, encourages completed profiles and displays mutual friends for every member of the platform. The host - the Ambianceur - creates the house party according to a hashtag and a theme. In addition to time, place and theme, the Ambianceur chooses how many tickets will be made available, determines the admission fee - if any (for example, to finance food and drinks), or on the opposite, turns himself into a modern time Gatsby and throws a lavish fete in his fancy mansion. On the other side, the guests - the Ambiancés - use Excuse MyParty to find the event that suits them most according to place, date, theme, host, etc. Then they can apply for the party and pay the entrance fee (for themselves and their friends). The house party itself - the Ambiançage - is an opportunity to meet cool people in a unique context. A rooftop in Singapore, a champagne shower in Paris, a pool party in Barcelona... One platform, infinite possibilities. The sky is the limit! What are some of the most memorable parties that were organized through Excuse MyParty? There were quite a few, but out best memory has to be a spontaneous birthday that was organized for an Italian guy Jacopo from Torino who was traveling to Paris for business. 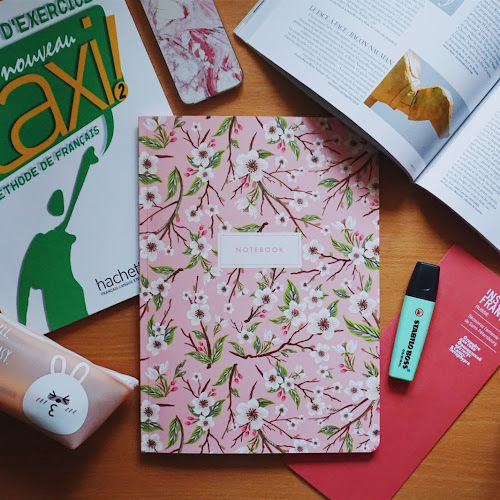 According to him, he had "the best unexpected birthday celebration ever"; as the founders of Excuse MyParty, in that moment we realized that what we created could help people to be a little bit happier - which is already a great accomplishment for us. We also had a famous DJ called Panteros666 from Club Cheval once - he is a fan of our concept and it was an honor for us to have someone like him! What do you think are the secrets of throwing a really good party? Usually the best parties are the simplest ones! You can't go wrong with good products (food and drinks), good music and a nice place. And don't forget to invite your neighbors to make the party last longer! Of course, part of Excuse MyParty's success is that the parties are quite private, even secret in a way, which helps to create the ambiance of something alluring and special. On the other hand, it's still a commercial project, meaning it has to grow. How do you grow something like this, yet keep it rather intimate, something "for friends only"? The concept is not meant to be kept for friends, but rather to be spread to our friends and our friends' friends and their friends, etc. until we finally create our own community of cool people. There are now thousands of people looking for house parties on the platform. But as the address is private until people are validated by the host and the capacity is limited, all our parties will keep their intimacy. Indeed, the project has to grow as we want to fully become the Airbnb of our sphere. For us, growing doesn't mean opening clubs but rather offering more and more house parties and answering to a growing demand. We hope in the future it will be possible to first book a flat on Airbnb and then book a house party on Excuse MyParty to meet locals when traveling. Несколько месяцев назад я наткнулась в Инстаграме на аккаунт "Excuse MyParty". Название сразу привлекло моё внимание - как некоторые из вас знают, французский я изучаю в школе "Excuse My French". Оказалось, аккаунт принадлежит парижскому проекту, суть которого в следующем: зарегистрированные на сайте участники могут организовать и посещать частые домашние вечеринки (так называемые "ambiançages"). 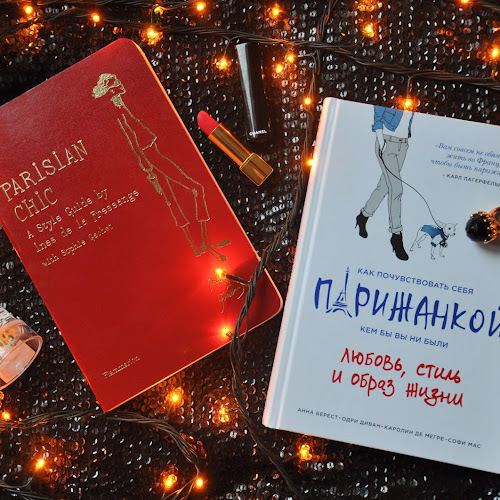 Про стартап уже написали Grazia, Madame Figaro и Metro, и это определённо тот проект, за которым я бы посоветовала пристально следить (а если вы собираетесь в Париж, то и обязательно посетить одну из вечеринок). На этой неделе основатели "Excuse MyParty" согласились дать небольшое интервью для Appelez-moi Ana - продолжайте читать, чтобы узнать, как принять участие в вечеринке, какие планы у создателей стартапа и как организовать по-настоящему успешное событие. Расскажите немного о проекте: когда и кем был запущен Excuse MyParty? Как у вас появилась идея создать нечно подобное? Концепция сама по себе довольная проста: зарегистрировавшись на сайте, любой человек может устроить или посетить домашнюю вечеринку - или просто познакомиться с новыми классными людьми. В самом начале, в 2013-м, нас было всего двое - я, Филипп Витри, и Брюно Аддад. Два друга, два соседа по комнате, два любителя организовывать у себя дома пирушки, на которых бы встречались друзья, друзья друзей и прежде совершенно незнакомые люди. Эти частные вечеринки (куда более уютные, чем все те традиционные гулянки, которые предлагает Париж) символизируют для нас то, что на французском сленге называют "ambiançage" - эдакий междусобойчик в кругу приятных людей. Быстро поняв, что ничего даже отдалённо близкого к "ambiançage" в дорогих парижских барах и клубах не найти, в 2014-м мы совершенно спонтанно придумали "Excuse MyParty" - проект, по формату являющийся чем-то вроде "Airbnb в сфере вечеринок", которому, мы думаем, под силу совершить настоящую революцию. Вскоре к нашей команде присоединились Джон Тоссу (ответственен за развитие бизнеса в Великобритании), Ромен Дюффло (главный технический руководитель) и Лорен Амбё (артистический директор). Зарегистрировав компанию в начале 2015-го, мы занялись разработкой бета-версии сайта - и уже в мае прошлого года провели вечеринку на 100 человек по случаю запуска. Она прошла в симпатичном лофте в центре Парижа: кровать превратили в зону для фотокола, диджей занял место на диване, коктейли и пицца были сделаны вручную, в ванне устроили champagne bar, а пиво можно было брать прямо из холодильника. Неплохо, да? Сейчас наше коммьюнити продолжает неуклонно расти - в последние двенадцать месяцев через сайт Excuse MyParty была организована не одна сотня междусобойчиков разного формата. Как всё работает? Что нужно сделать, чтобы попасть на вечеринку - или даже стать её организатором? Есть ли какие-то особые правила? С помощью сайта Excuse MyParty очень легко создавать мероприятия или участвовать в них - всё благодаря своеобразному "рынку вечеринок", который интегрирован в нашу площадку. Вся система основана на доверии - тем не менее, мы запрашиваем максимально подробные описания, поощряем полное заполнение профиля и показываем каждому пользователю "общих друзей", если таковые имеются. Организатор - "Ambianceur" - придумывает событие в соответствии с каким-то хэштегом или темой. Он указывает время и место, выбирает, какое количество билетов будет доступно и определяет, будет ли входная плата (вступительные взносы идут на еду и напитки, но хозяин в праве прикинуться Гэтсби и устроить щедрое празднество на свои собственные). Гости - "Ambiancés" - используют Excuse MyParty для поиска вечеринки в соответствии со своими интересами и возможностями. Прямо на сайте они могут заполнить заявку на участие и оплатить вход для себя и своих друзей. "Ambiançage" - собственно вечеринка - представляет возможность не просто попробовать что-то необычное, но и познакомиться с классными новыми людьми. Это может быть небольшая пирушка на крыше одного из зданий в Сингапуре, роскошная гулянка с шампанским где-то в Париже, вечеринка у бассейна в Барселоне... Одна платформа - и множество возможностей. Тот случай, когда вас органичивает только собственное воображение! Какие вечеринки, организованные через Excuse MyParty, запомнились вам больше всего? Было много по-настоящему здоровских, но на ум приходит спонтанный день рождения, который устроили для одного парня из Турина - он приехал в Париж по рабочим делам - его друзья. Джакопо (так зовут молодого человека) сказал, что "это было самое неожиданное празднование дня рождения в его жизни" - в этот момент мы поняли, что Excuse MyParty делает людей чуточку счастливее, а значит, мы на правильном пути. Ещё у нас как-то был Panteros666 - диджей из популярной группы Club Cheval. Оказалось, ему очень нравится концепция нашего проекта - есть повод гордиться! В чём, по вашему мнению, залог действительно крутой вечеринки? Знаете, лучшими обычно получаются самые простые! Вкусная еда, качественные напитки, приятная музыка - больше ничего и не нужно. Ах да! Не забудьте пригласить соседей - это всегда помогает продлить вечеринку! Полагаю, в случае с Excuse MyParty участникам коммьюнити нравится ещё и то, что это всегда частные вечеринки, с налётом некоторой таинственности - последнее всегда помогает создать атмосферу чего-то особенного и уникального. Тем не менее, EMP - коммерческий проект; как вы планируете развивать его, учитывая эту специфику? Нужно подчеркнуть, что проект - не про тусовку в своём узком кругу, но про расширение этого самого круга посредством сарафанного радио: от нас к нашим друзьям, к друзьям наших друзей, к их друзьям и т.д. Сейчас на платформе зарегистрированы тысячи людей, которые жаждут поучаствовать в домашних вечеринках. Тем не менее, поскольку адрес места проведения доступен лишь одобренным гостям, а вместимость всегда ограничена размерами жилплощади, наши мероприятия будут оставаться довольно интимными. Но да, мы хотим расти и развиваться - пока не сравнимся по размерам с Airbnb. Однако для нас это не означает открытие ночных клубов - скорее, увеличение количества проводимых вечеринок в соотвествии с увеличением спроса на них. Мы надеемся, что в будущем люди будут отправляться в путешествие, сначала забронировав квартиру у кого-то из местных жителей, а потом "вписавшись" на одну из вечеринок Excuse MyParty.